For a couple of days this fall, I was dropped into beautiful rural Ontario. I flew into Toronto and made the drive out to Wellington, a tony town right on Lake Ontario. The route Cadillac planned for us was as scenic as it was adventurous. Some highway, some rural roads. Some high speed cruising, some nasty railroad crossings in the middle of nowhere, some sweeping curves through cornfields as far as the eye can see. We got to try it all. And in fall’s full colours. 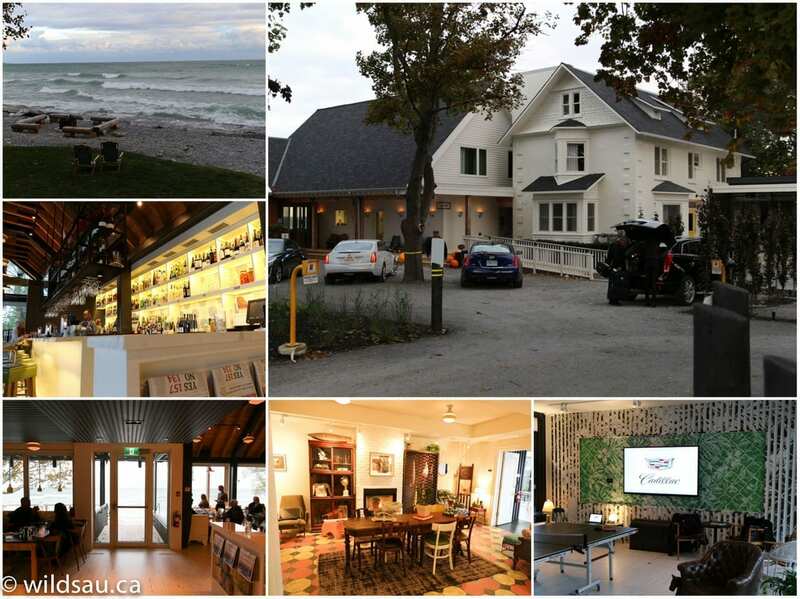 We were put up at the Drake Devonshire Inn in Wellington. 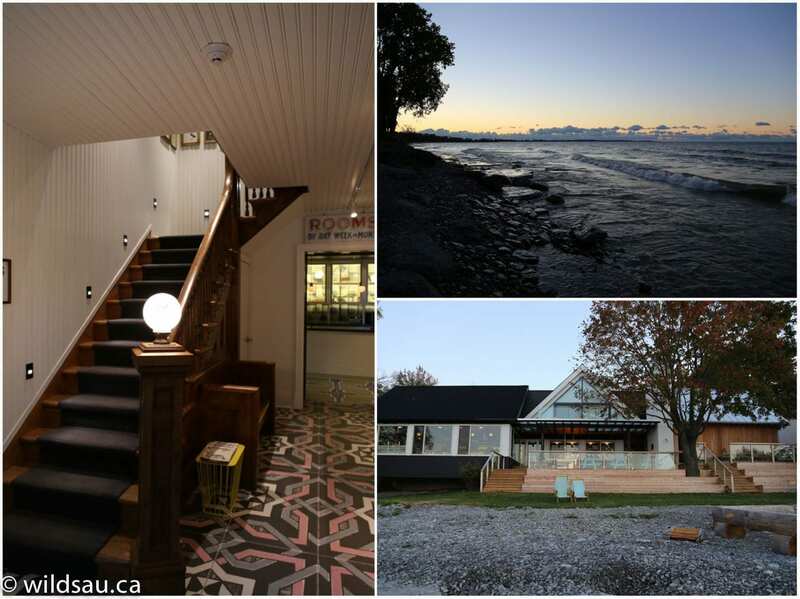 It’s a stunning location, lake-front, and a delightfully bohemian take on a boutique hotel. There are only 13 rooms, each one dressed up like a unique, homey cottage. The furnishings, the art, the decor – everything works together to great effect. You feel as though you’re staying with friends. There’s even a living room and a ping-pong table right on the main floor. The icing on the cake? World-class food in the restaurant that overlooks the lake shore. If you’re in the region, I highly recommend making reservations and putting this place on your must-visit list. 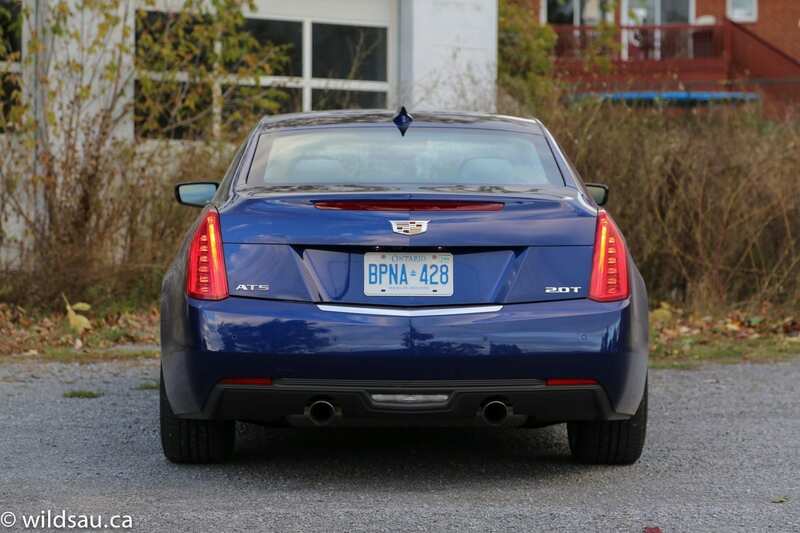 It was my first time seeing the brand-new Cadillac ATS in the flesh. 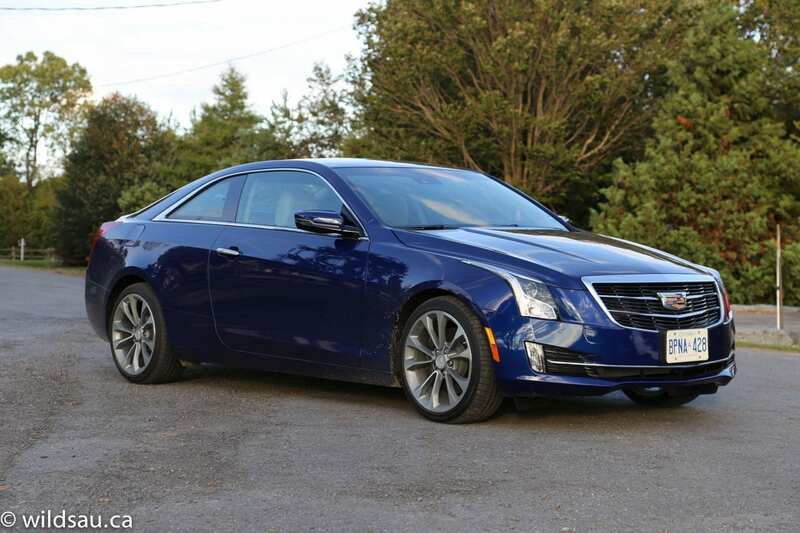 I’m a big fan of the ATS sedan, and I had been anxiously awaiting the coupe. Cadillac did a bang-up job with the styling. 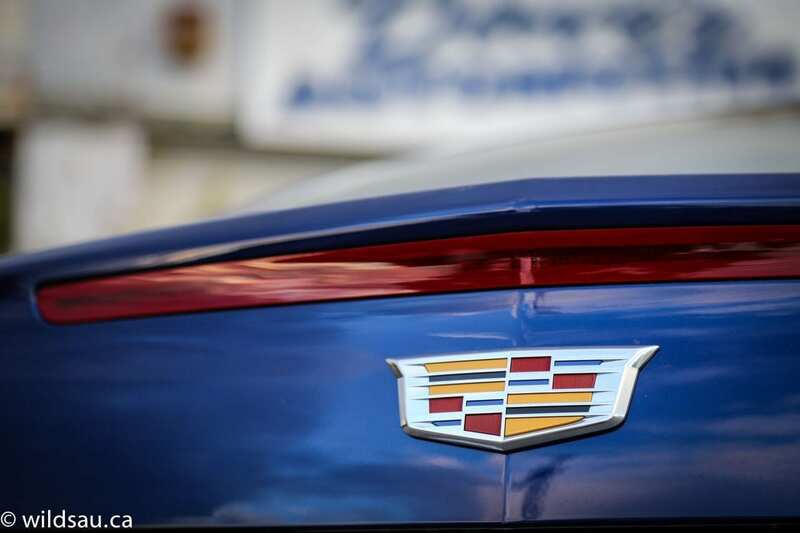 It draws on the taut, angled and creased surfaces we expect from Cadillac. The shape doesn’t flow – it carves. I love the hard-edged surfaces. 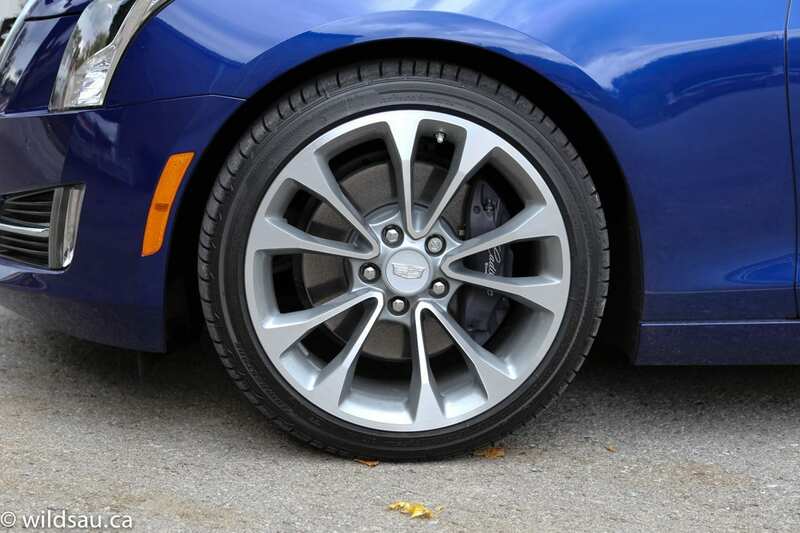 And the wheel wells are filled with a selection of stunning 18-inch rims. 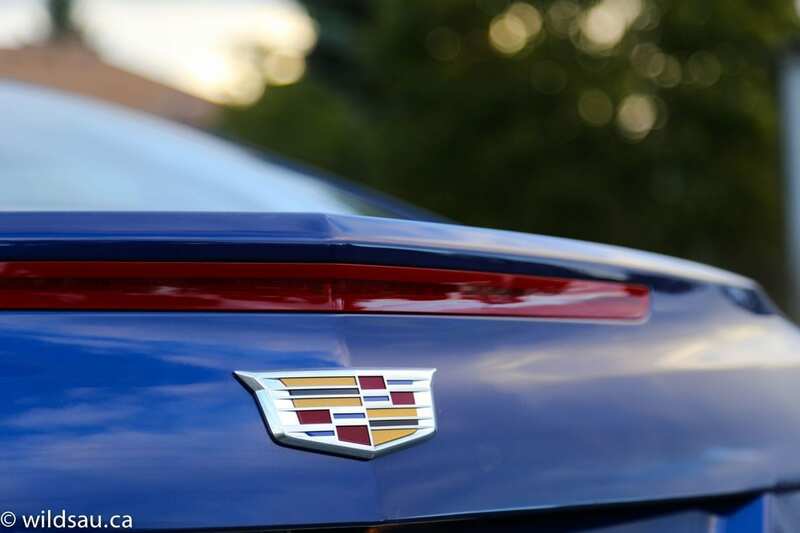 Cadillac carefully described their brand’s philosophy, which rests on three pillars: bold expressive design, thrilling performance and innovative, engaging technology. 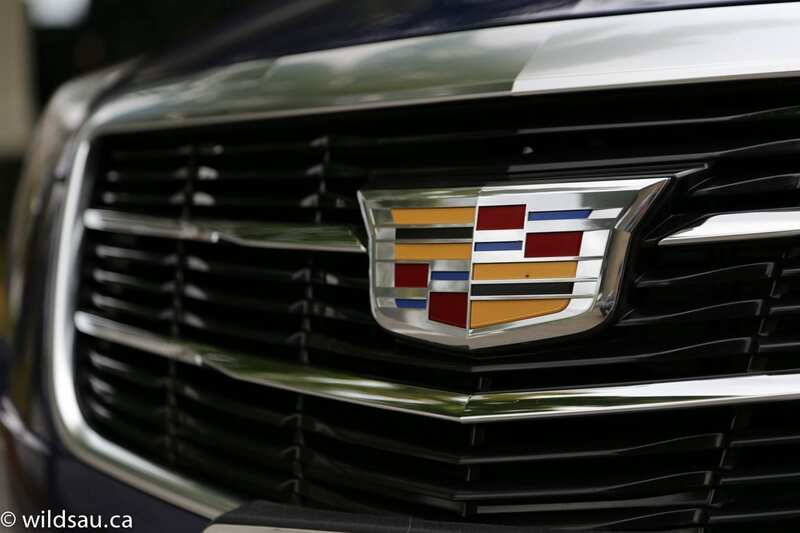 Sure, Cadillac is happy with its brand’s current upward trajectory in terms of sales and desirability, citing a 9-percent increase in sales over last year as proof that things are headed in the right direction. Sure, the ATS’ success, which has exceeded expectations (and sales are already up 21% year over year), has buoyed their confidence. 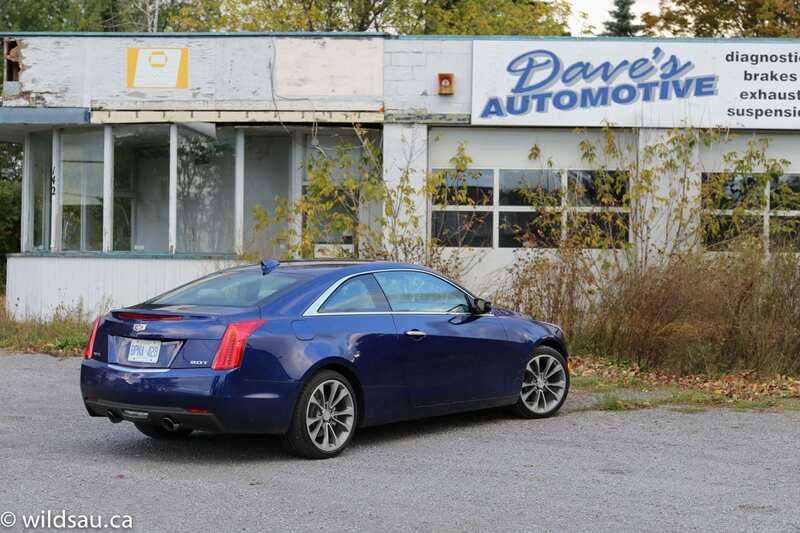 But it’s quite clear the company is not going to rest on these laurels – perhaps that’s appropriate, since they’ve just removed the age-old laurels from the revised and refreshed Cadillac crest. Representatives made it clear that the brand wants to continue sharpening their focus. 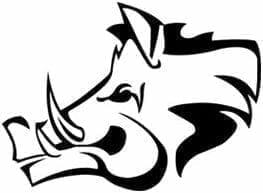 They describe themselves as a passionate brand for passionate people. And that bodes well for the company’s future as well as for their newer, younger customers. 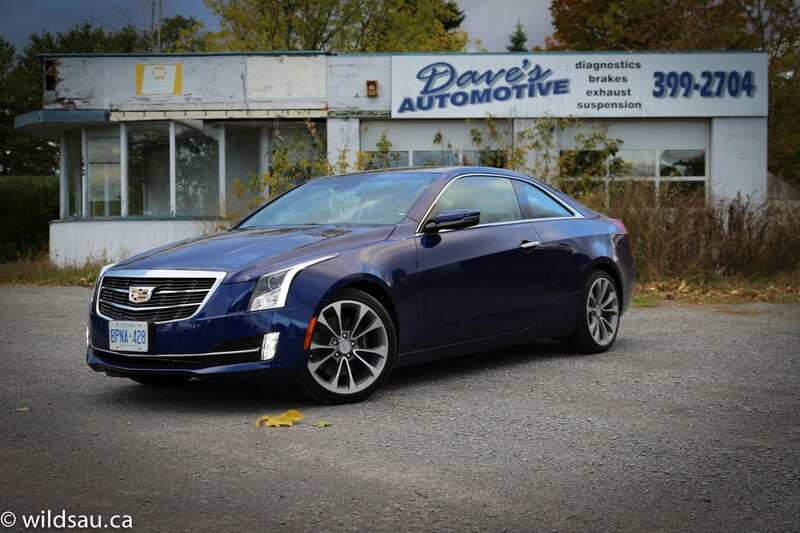 More about the ATS Coupe. First they started with an outstanding platform, one that is absolutely pivotal for GM, focusing on building the lightest car they could. 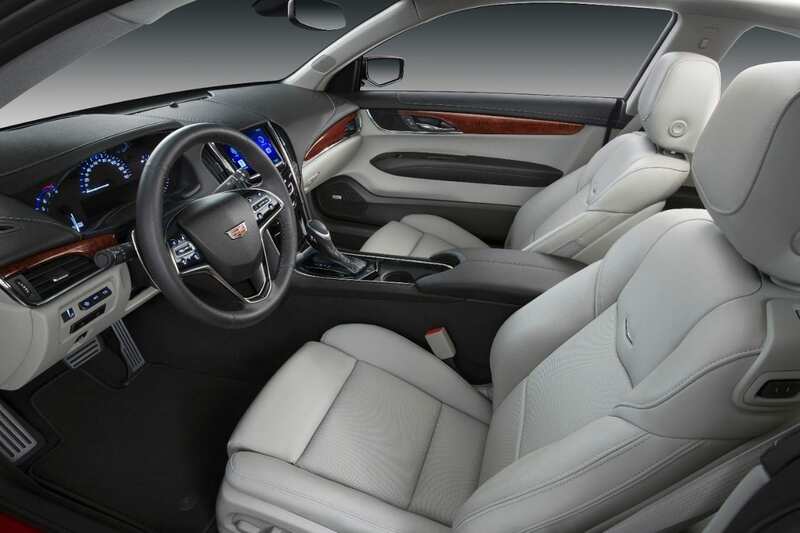 The recipe for the ATS was simple: expressive design, craftsmanship and drivability. They certainly used that recipe when they cooked up the new coupe. 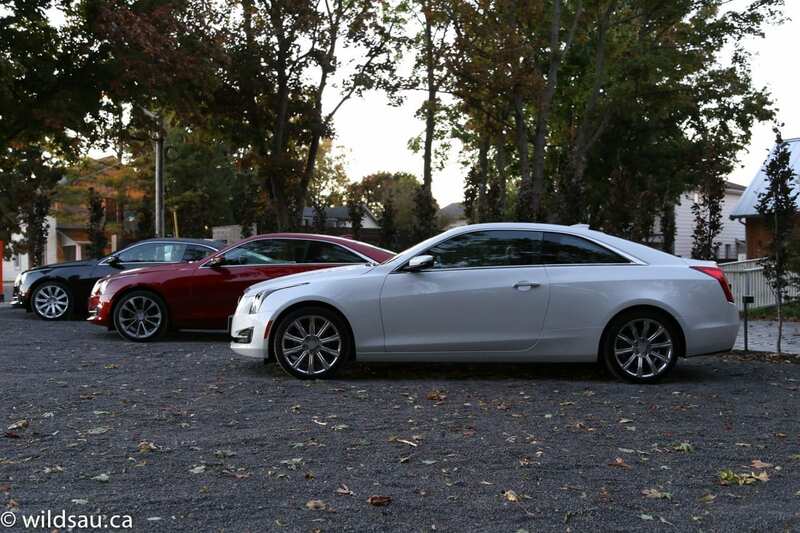 The expressive design takes its cues from the ATS sedan, but they’ve made it an inch lower, 1.5 inches wider and the coupe is actually longer than the sedan, allowing them to stretch the proportions in all the right places. It’s a beautiful, purposeful design. So they got the expressive design part right. What about thrilling performance? It’s here, in spades. I had the opportunity to drive the 2.0-litre turbo 4-cylinder as well as the 3.6-litre V6, a $2200 option. Personally, I can’t imagine why anyone would go for the V6. Yes, it has more horsepower (321 vs. the 4-banger’s 272) and yes, it will net you a 0.1 second quicker run from 0-100 km/h (5.5 seconds vs. 5.4). But it’s thirstier, and more importantly, the turbo four churns out a massive 295 lb.ft of torque whereas the V6 only comes up with 275. Not only that, but the turbo engine’s torque comes on tap at extraordinarily low RPMs and remains accessible for the majority of the rev range. It’s always available, and it’s delicious! Both engines perform wonderfully, but my preference is the turbo four. It sounds great, it winds up like a banshee and delivers a kick that’s unexpected. It launches hard after a barely-noticeable amount of lag, and there is prodigious power in any driving situation – enough to slide the rear end in and out of corners if you turn the traction control off. The smooth-shifting 6-speed automatic sends power to the rear wheels (or all four corners for an additional $2200). You can manually shift gears with steering-wheel mounted paddles. 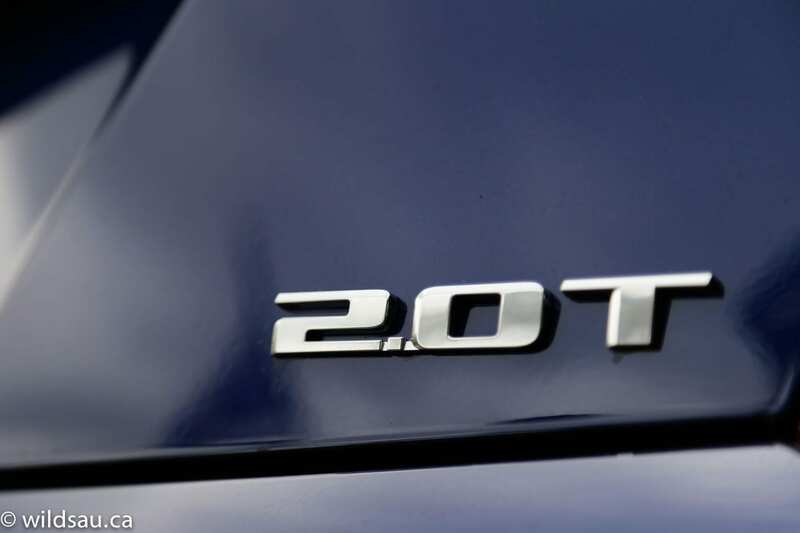 The shifts are imperceptible for the most part – as one would expect from Cadillac – except during sporty driving, when the transmission’s programming steps it up a notch, learns your driving style and shifts more aggressively while holding on to gears significantly longer to keep the engine in the meat of its torque curve. You can get a 6-speed manual transmission, available only with the turbo 4-cylinder engine. 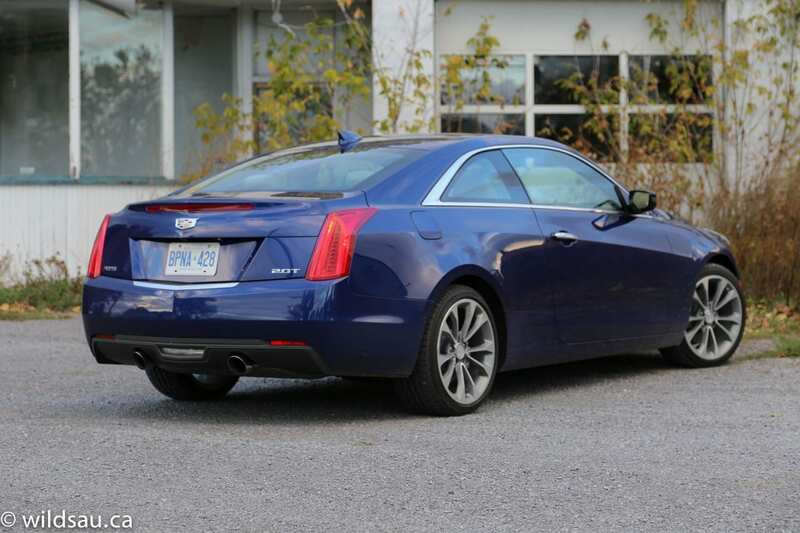 As with the ATS sedan, I found the ride in the coupe to be surprisingly firm. It’s never jarring, but it would definitely classify as one of the stiffest rides I’ve experienced in a luxury coupe. Personally, I think it’s a great suspension set-up. Of course, the firm suspension leads you to expect some solid handling capabilities. And you get those. The car is happy to cruise the highway, but it almost feels a bit nervous at higher speeds. Not in a bad way, but in a “get me off this straight road and let’s have some fun together” kind of way. 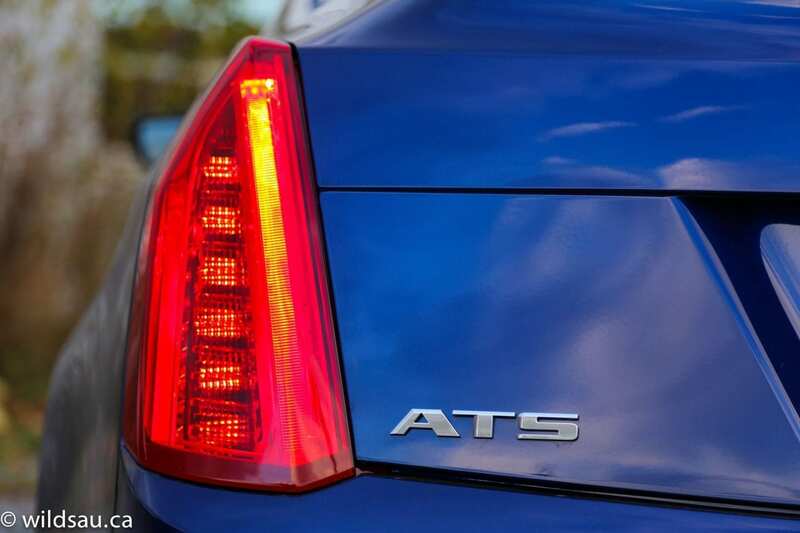 The ATS beckons the driver to play. It practically begs for it. And boy, can it play. I was surprised at how sharp the turn-in was, and how artfully the coupe carved sweeping curves at very high speeds. Opt for the top-of-the-line Premium trim, and you’ll get Cadillac’s magnetic ride control, the fastest-reacting active suspension around. And hey, the 51/49 weight distribution is ideal. How much weight is being distributed? 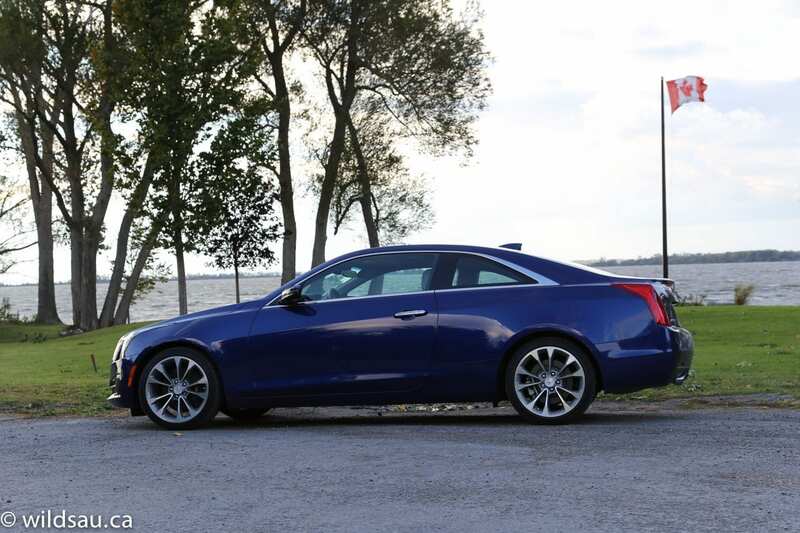 Less than the competition – the ATS Coupe tips the scales at 3,418 pounds, less than the BMW 4-series, the Mercedes C-class coupe and Audi’s A5. Incidentally, that is what Cadillac considers to be the competition. 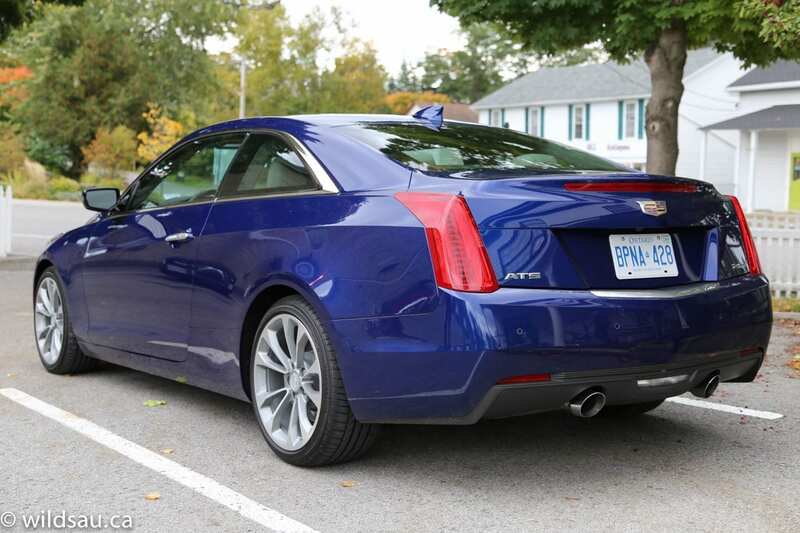 I found the ATS coupe’s electronic steering to be remarkably heavy in terms of effort. I love it, but it will take some getting used to for some drivers. The reward is an exceptionally well-balanced sporty steering feel, asking for little compromise from the driver, and rewarding him with good road feel and control while still feeling luxurious. When it comes time to haul things back down to legal speeds (did I just say that? ), the Brembo brakes are incredibly capable, powerful and easy to modulate. 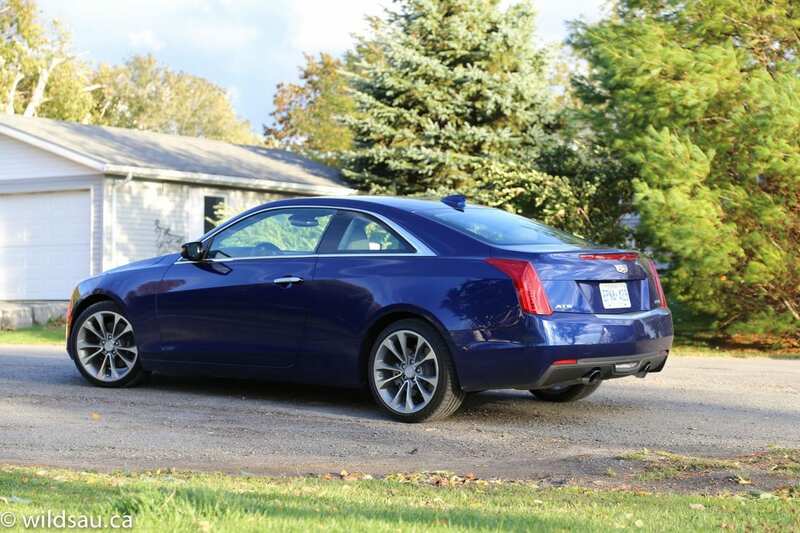 With all the sportiness taken into account, the ATS coupe remains relatively quiet on the road, even at highway speeds. The interior isn’t hushed, to be sure, but it’s quiet enough while letting you enjoy the experience of the engine’s sounds. Speaking of the interior, Cadillac continues to push the envelope here too. Materials feel handcrafted and the assembly, fit and finish are all outstanding. Does it feel like a luxury vehicle? Yes, it does. A variety of colour schemes are available, and all trim materials are genuine. If you see aluminum, it’s aluminum. If you see wood, it’s real wood. The sculpting is modern, without being off-putting. The coupe’s seats are fantastic, comfortable even for longer drives, and very well bolstered, offering real support for spirited driving. I loved the steering wheel’s solid feel and the thickness of its rim, but I felt that the hub’s spokes at the 3- and 9-o’clock positions were too fat and I found it hard to the hold the steering wheel there. 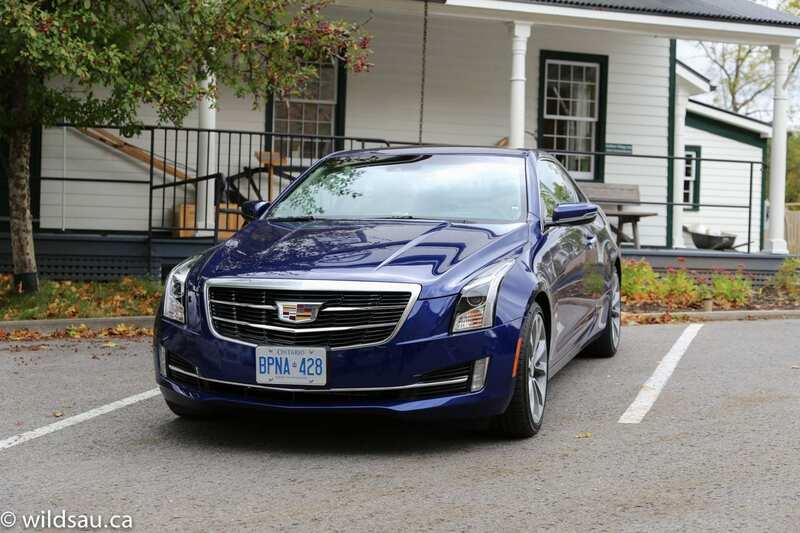 Ergonomics are solid, although Cadillac’s CUE infotainment system still isn’t perfect. But it’s coming along, and for the most part, it works very well. The Bose sound system is great, and the navigation system works well. I particularly liked the 3D fly-over view of the map. There’s plenty of technology and driver assistance tech here too. iPhone users get Siri Eyes Free pass-through to their phones. You can get text message alerts and there is a wireless charging station for your phone. The back-up camera and a full-colour customizable head-up display are helpful. To keep you safe, there’s a lane change alert system and an active lane keep assist function, which won’t let you drift out of your lane. That one caught me off guard, but it’s pretty cool stuff. 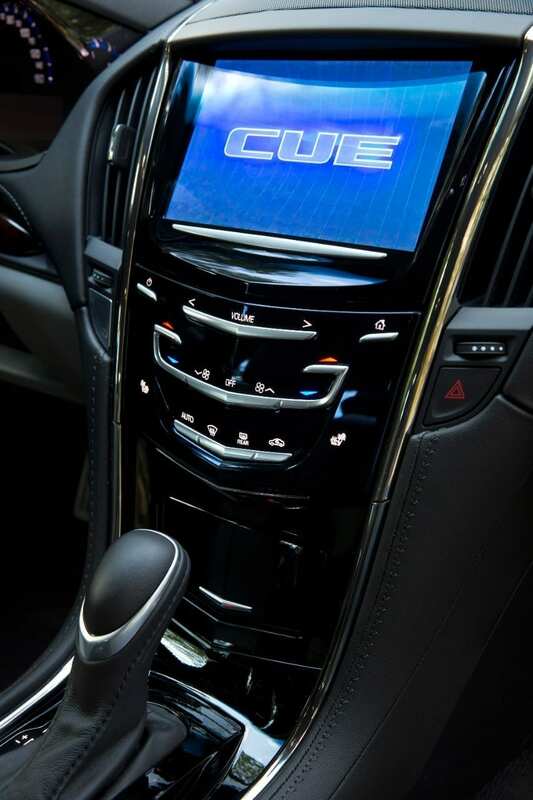 And finally there’s a 4G LTE system with embedded wifi, turning your ATS coupe into a hotspot and letting you connect up to seven devices. 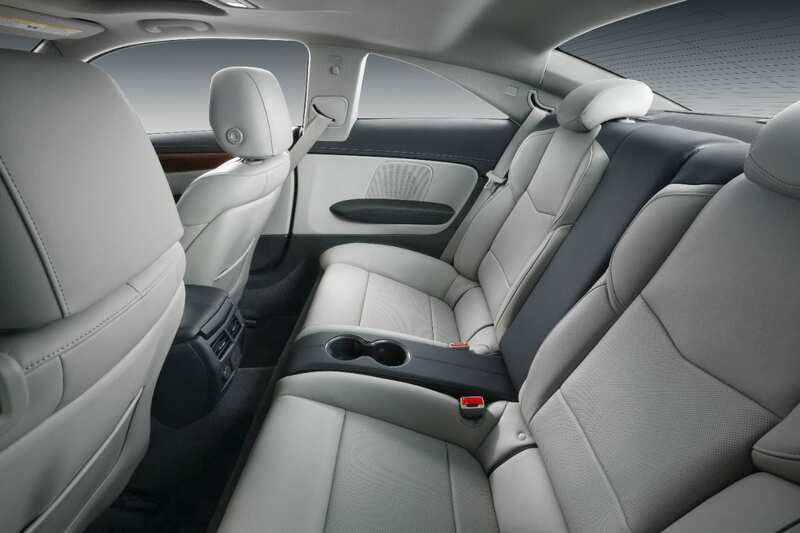 If you care, the rear seats are a complete pain to get into, and they’re not very spacious in terms of leg or head room. Very comfortable seats though. 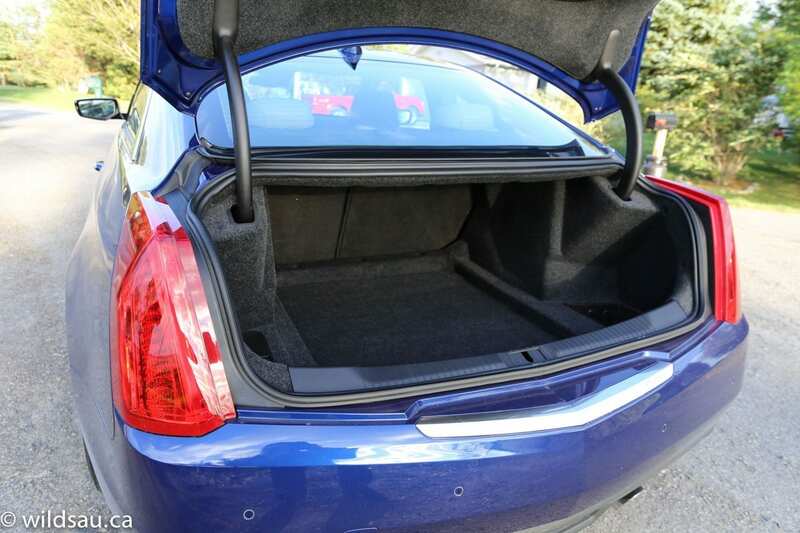 The trunk is about the same size as the ATS sedan, which is to say it’s not huge but definitely usable. 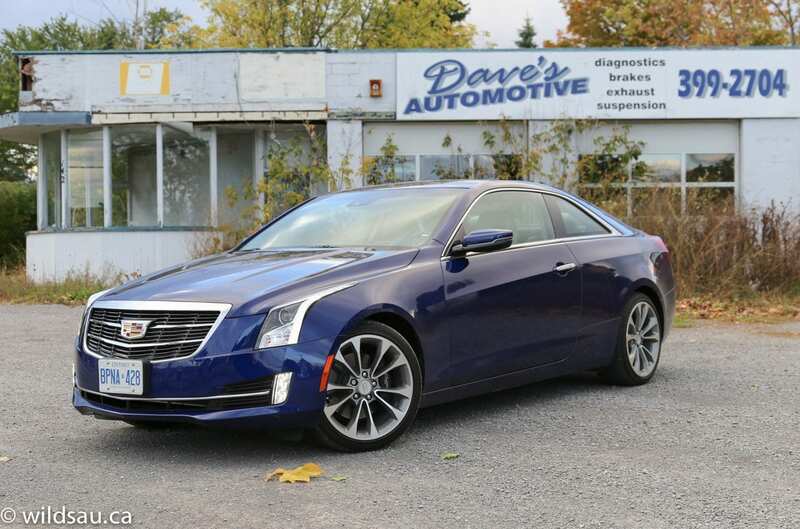 Pricing on the ATS coupe starts at a surprisingly low $41,240. 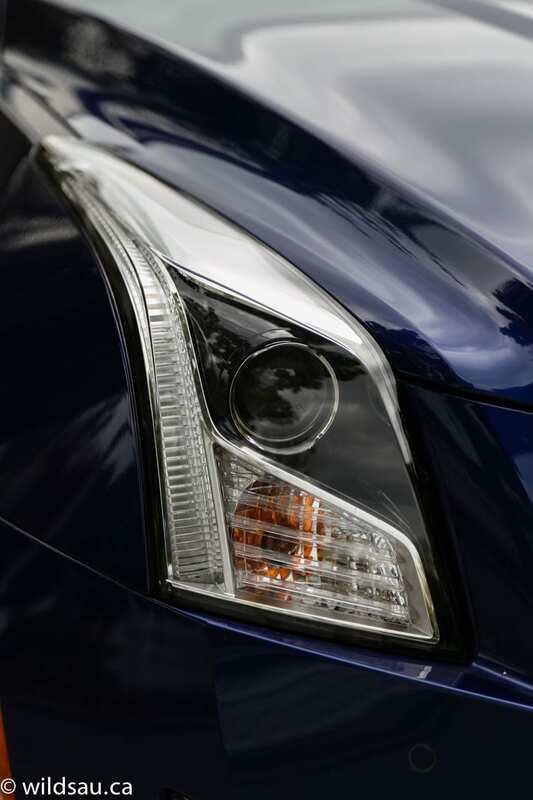 There are four trim levels – Standard, Luxury, Performance and Premium. 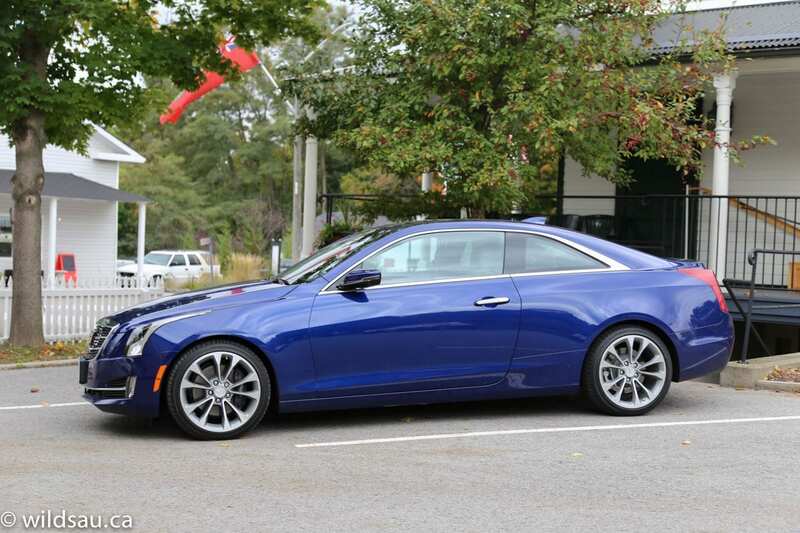 The most expensive ATS coupe comes in at $54,855, for the Premium trim with the V6 and all-wheel drive. A car doesn’t just have to answer to its master, it has to face the competition. I’ve driven most of it. 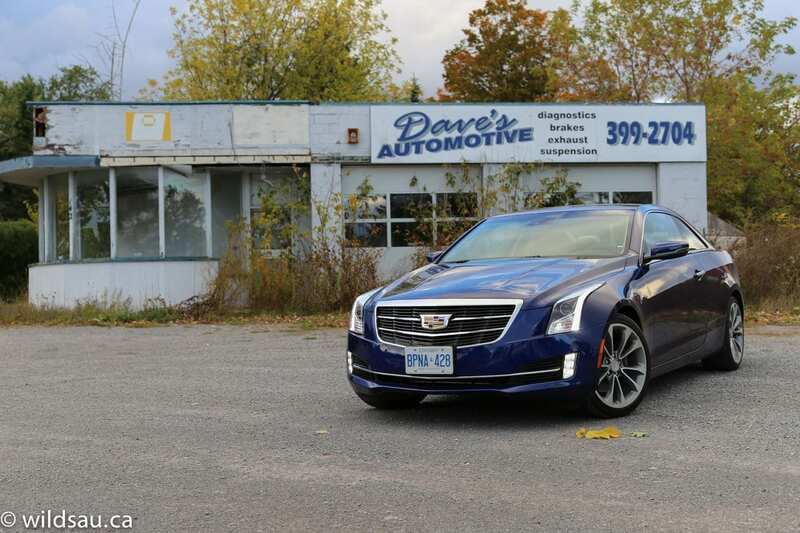 The ATS coupe is more engaging to drive than BMW’s 428i and feels much lighter and sportier than Audi’s aging A5 and Mercedes’ C-class coupe. Interesting that Cadillac, a brand once recognized for big floaty boat anchors, is the sportster of the bunch. Well done, Caddy! 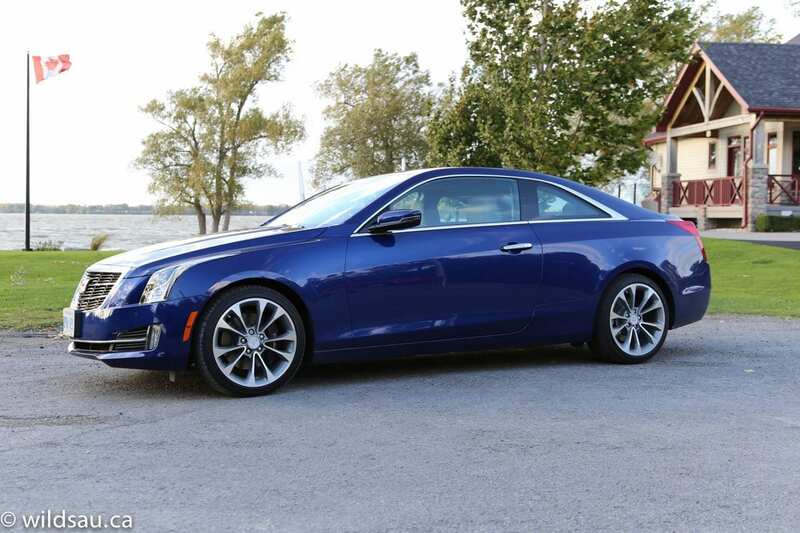 Cadillac has built an outstanding coupe, a natural complement to the ATS sedan. The styling has presence – no lack of confidence, no hesitation. The driving experience is terrific – sporty and luxurious. 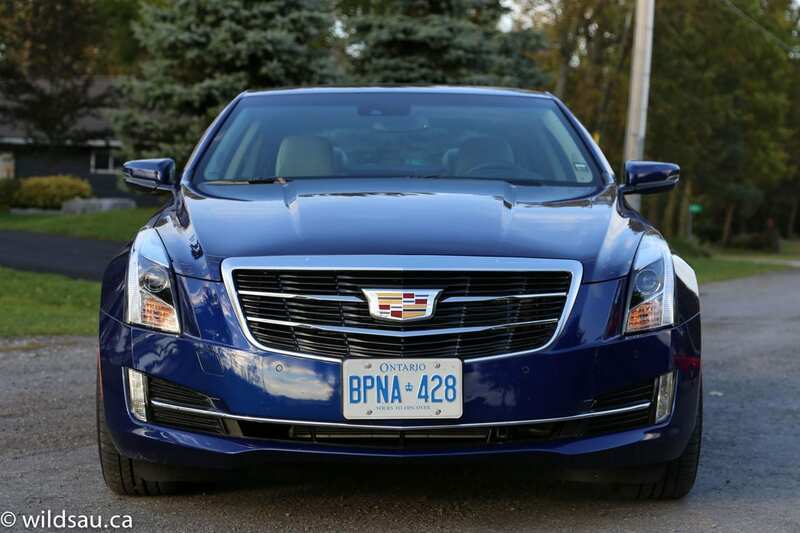 A Cadillac that’s nimble, quick and fun to drive? Yep. And an interior that’s beautifully crafted out of world-class materials and loaded with state-of-the-art technology and safety, and is equally engaging from a luxury standpoint and from a driver’s perspective. 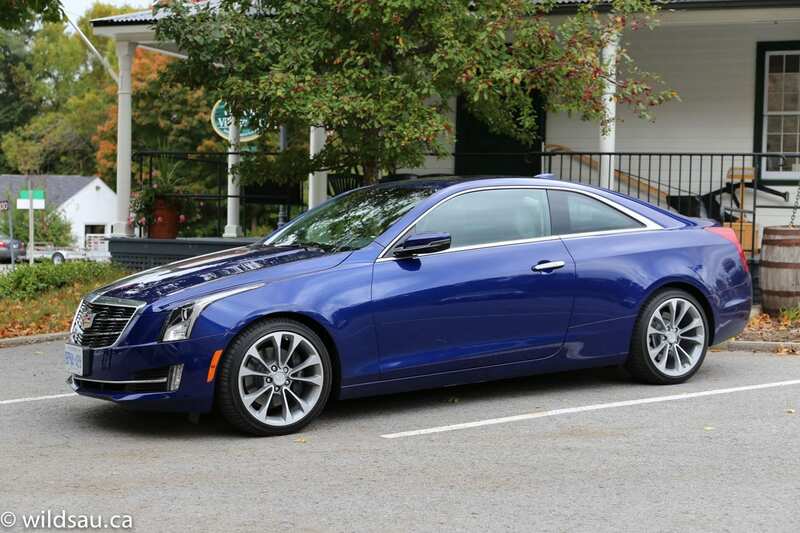 The ATS coupe is feels responsive and connected, whether you’re looking at how its styling interacts with its surroundings, how it drives or how you work inside the cabin. 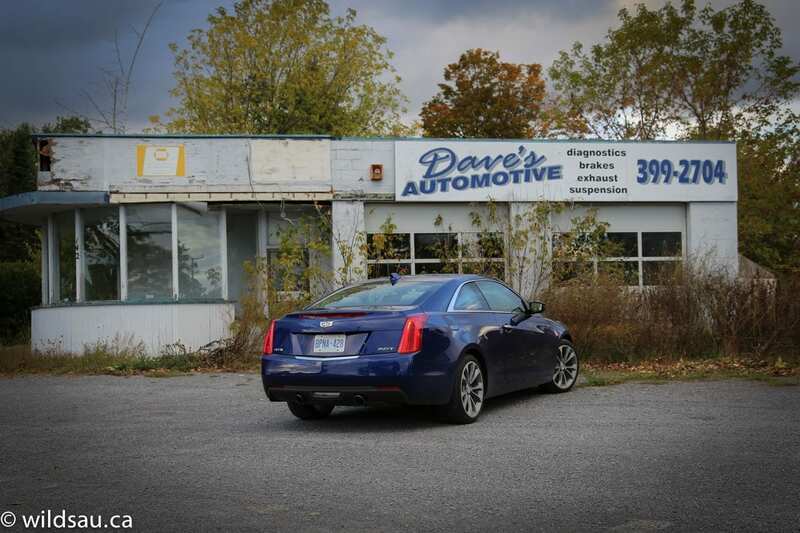 It turns out that Cadillac has nailed it when it comes to its brand philosophy. Bold expressive design, thrilling performance and innovative, engaging technology. They’re all here. 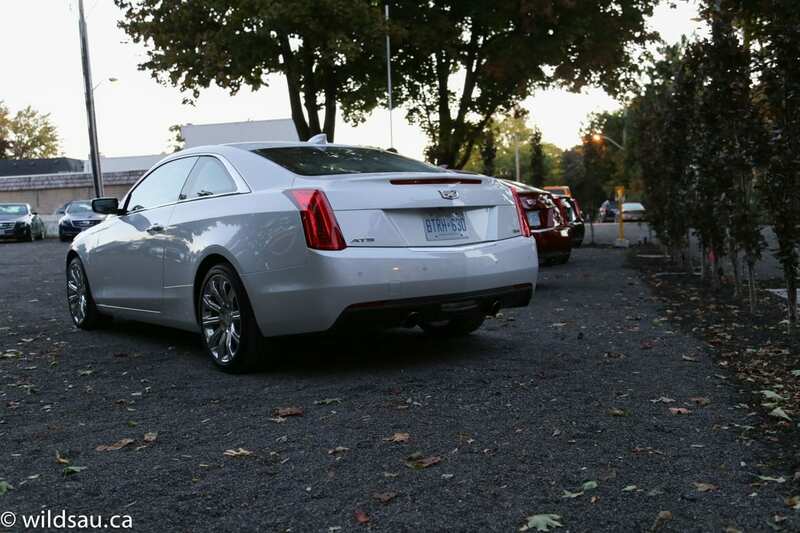 I love what Cadillac has done with the ATS coupe and I look forward to seeing where this philosophy takes the brand. 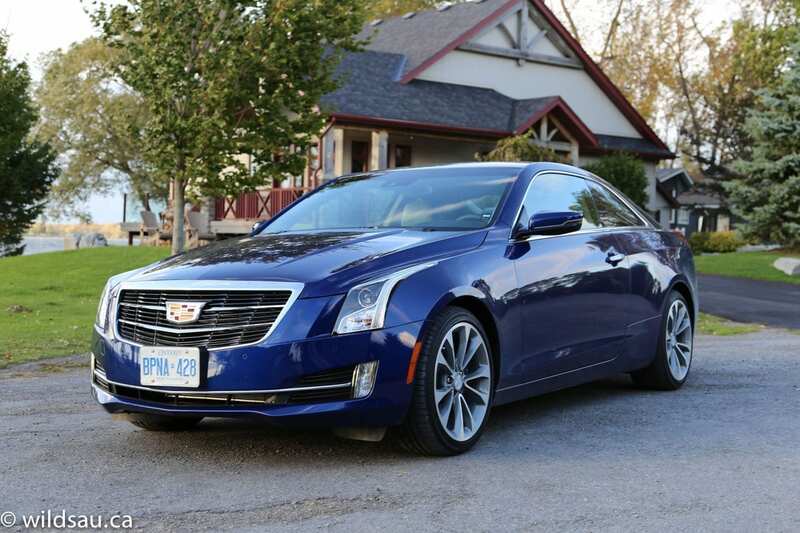 Disclosure: Cadillac Canada paid for my airfare, accommodations, meals and fuel and provided the vehicles for this test drive event. 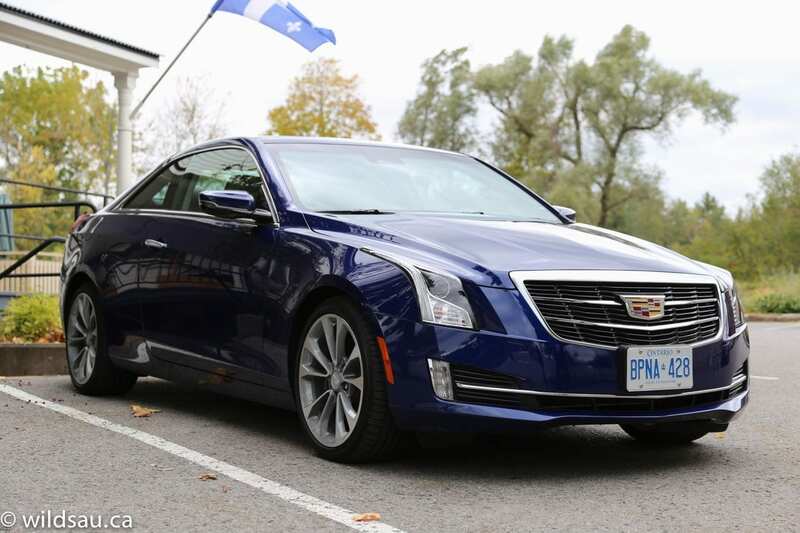 Pictures are mine, taken at the event, with the exception of the interior pictures which were provided by Cadillac.